My local drugstore has always been my favourite place to get my hands on the latest and greatest makeup treasures. 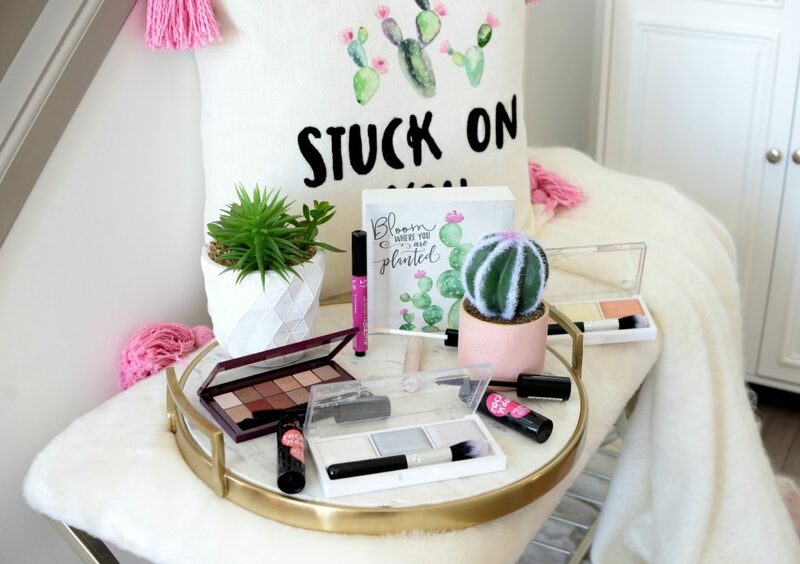 With so many new products being released each week, it’s heaven on Earth for any makeup junkie. From lip balms, eyeliners, lipsticks, foundations and face products, the aisles are full of goodies for you to toss in your bags. Over the past few years, drugstores have really turned their stores into the beauty place to be. The brands are stepping up their games and competing with those at a higher price-point. Every brand seems to be launching top-notch products and leave us wanting them all. 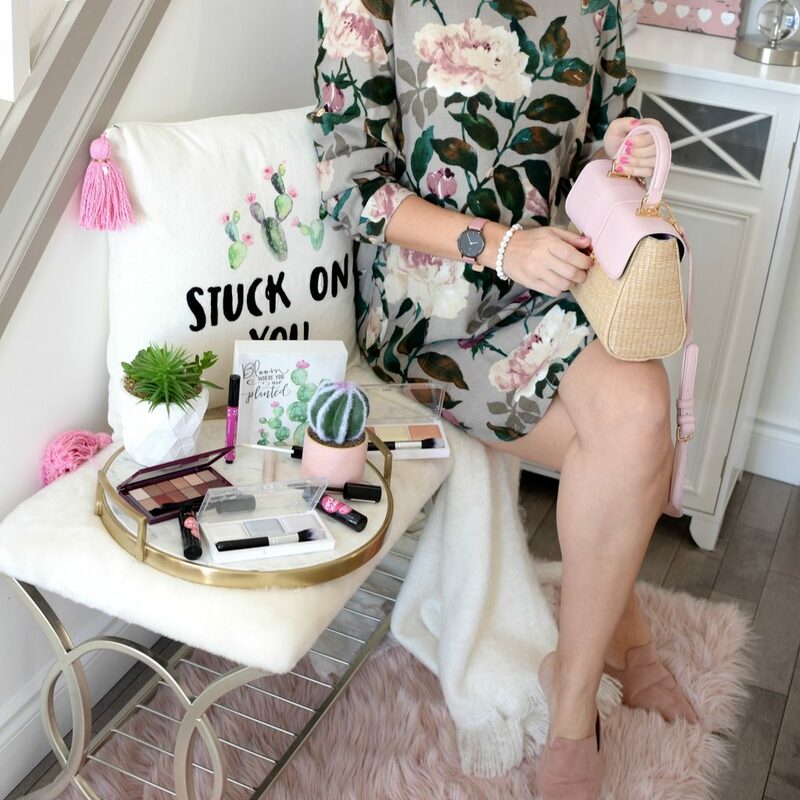 Not everyone has hours to test and review every single product that hits the market, so today I’m sharing 5 new releases that I’ve been obsessing over these past few weeks. Lip toppers are going to be huge for spring. It’s a fun way to glitter up your life and enhance your look. The idea behind theses toppers are that you wear them over your lipstick to transform them into something completely different. It will help achieve different lip looks, ranging from iridescent, glossy, shimmery and even glittery. Of course, you don’t have to pair it with another lipstick, you can wear it over bare lips. Not everyone can afford those luxury, high-end brands, nor do we want to invest a ton of our hard-earned money on a trend that may not last more than a season or two. 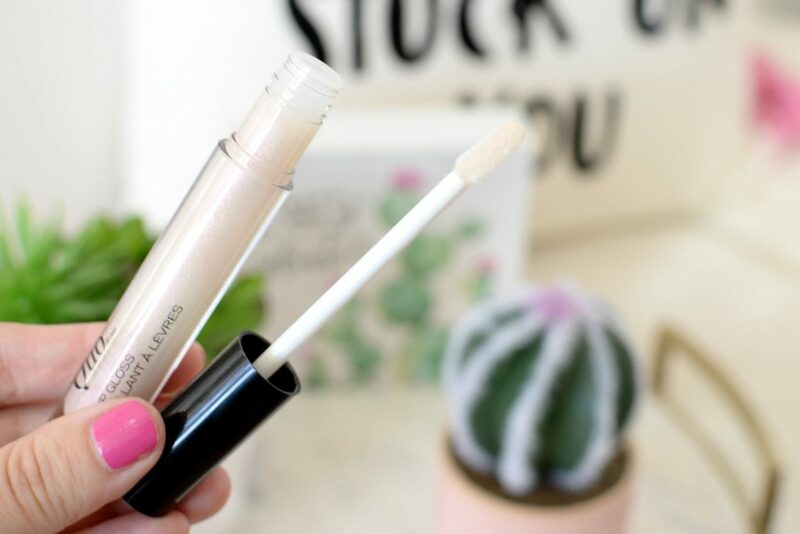 Quo Lip Gloss in Sheer Luck is the best of both worlds. It combines the light-reflexing, iridescent shimmer that glisten once applied to the lips, but at a price we all can afford. 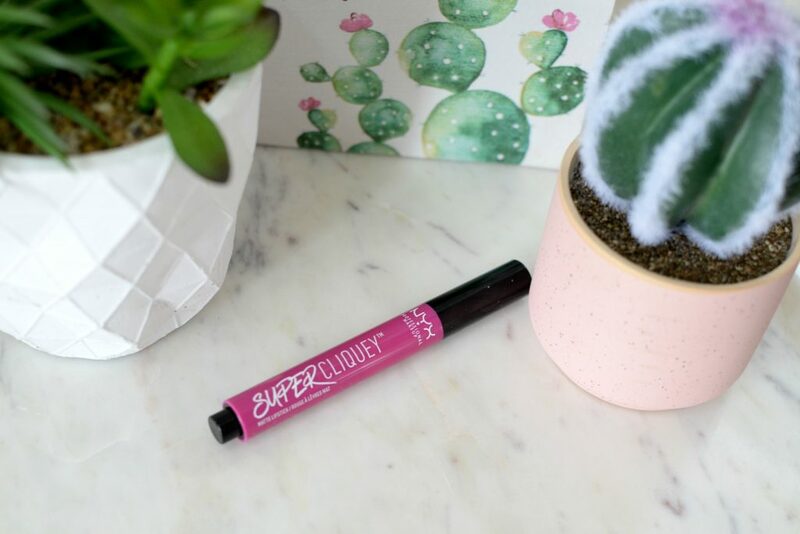 Instead of running out and purchasing a new lipstick this season, to add to your ever-growing collection, the Quo Lip Gloss in Sheer Luck is a fun way to enhance your already favourite lippies, without having to purchase a new shade. 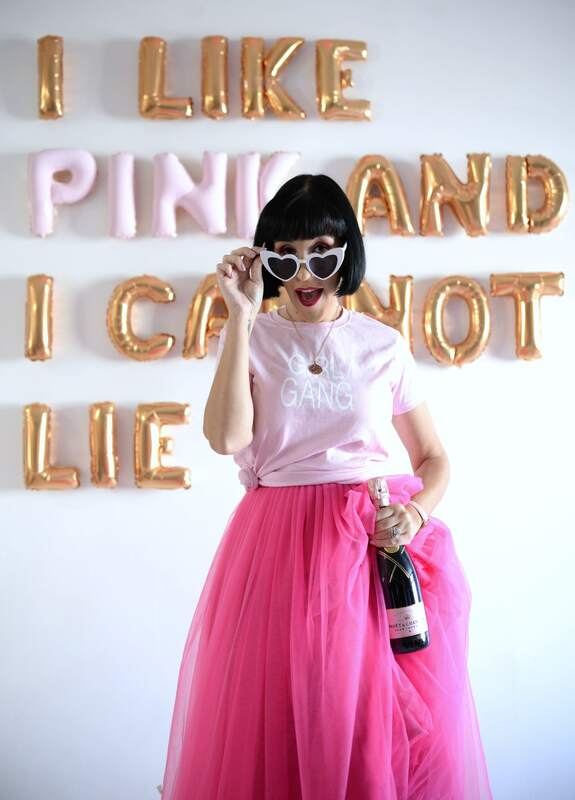 If you’re lipstick obsessed, and sick of alternating between your every day shades, this is a fun way to spruce up your look and make it more customizable. Its featherlight formula doesn’t feel sticky or goopy on the lips, pairs beautifully over any lipstick and its high-shine, almost pearlescent finish, is a real show-stopper. Whether you decide to wear it on its own, over your fave liquid lipstick, top it with a clear gloss, it’s sure to take your selfie game to the next level. If you are looking for a new lipstick to try, that’s totally unique with stunning colours, try the new NYX Super Cliquey Matte Lipsticks. These lippies instantly provide a dose of colour that’s bold, electrifying and scream spring. It features an innovate teardrop-shape bullet that not only hugs your lips beautifully, allowing for total control and precision, its unique click-style push design dispenses just the right amount of product onto the soft applicator. It’s incredibly lightweight, richly pigmented and creates a lovely satin-matte finish in an array of stunning shades. 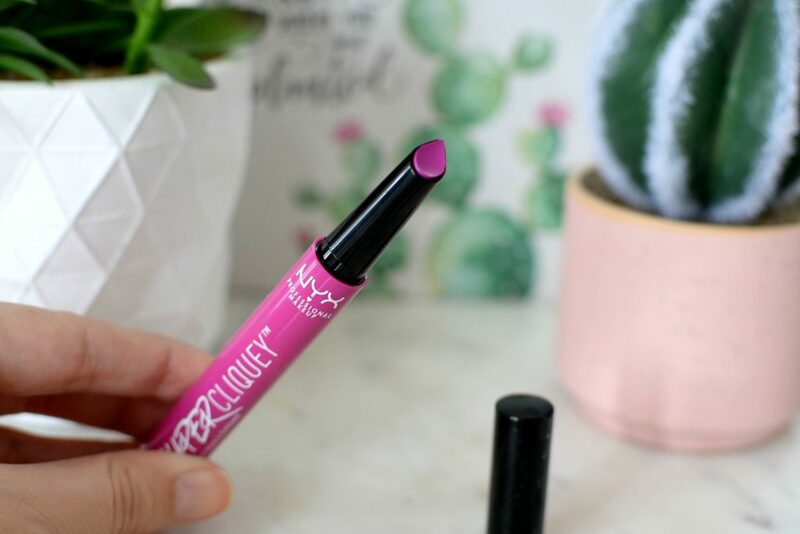 Now I know what you’re thinking, “not another matte lipstick”, but its slightly gimmicky packaging and non-drying matte formula, is just a few of the reasons why I love this new lippie. I love that you have total control over how much lipstick you use, and in a single pass-over, I can achieve full, opaque coverage. 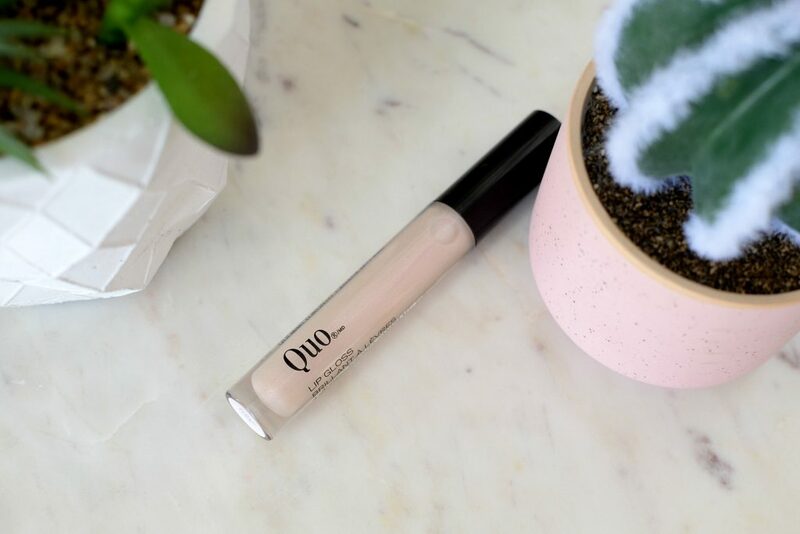 It’s lightweight, rich and creamy, applies seamlessly and wears well throughout the day. 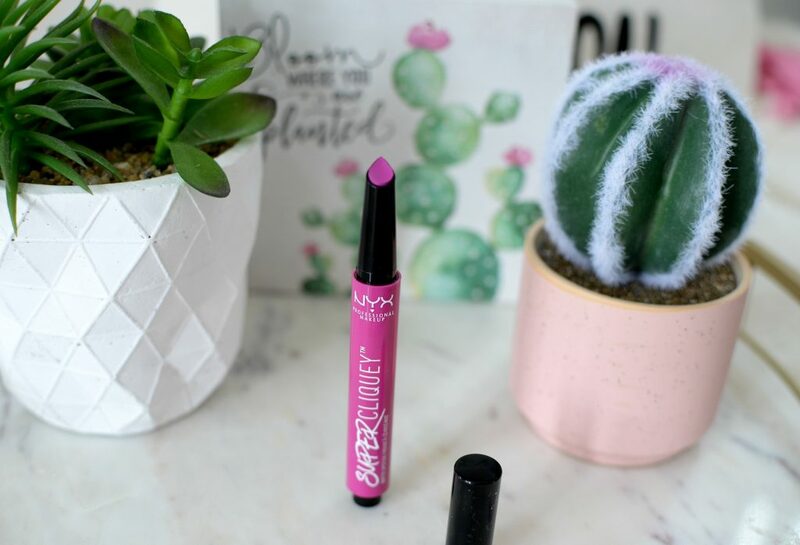 Although not the newest innovation when it comes to lipsticks, if you’re sick of those over-drying, life sucking matte lipsticks, this semi-matte formula is for you. While it’s not completely transfer-proof, they do stay put for a solid 5+ hours, but I’ll sacrifice long-wearing for a comfortable formula. It retails for $12. I’m a bit of a mascara snob, I tend to reach for the same one repeatedly. When I’m looking for a budget-friendly, drugstore option, I always turn to Essence. The brand offers a wide variety of affordable options that tend to compete with high-end brands, but for under $5. 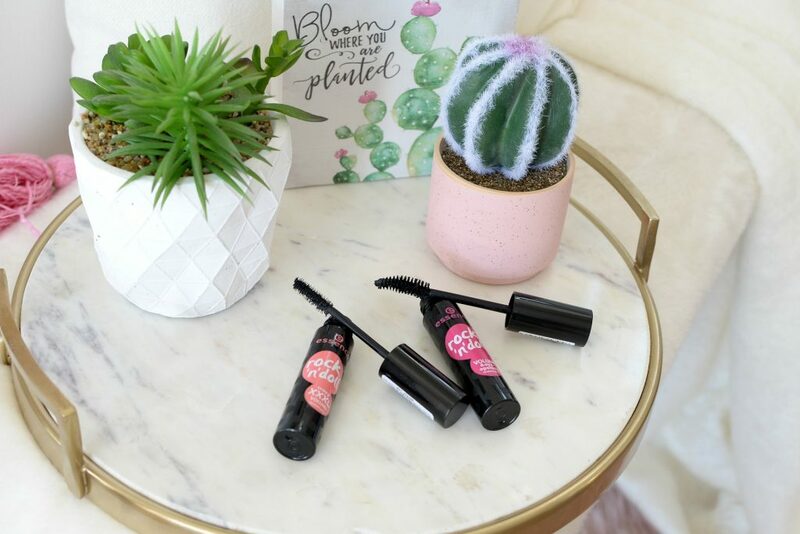 Essence Rock N Doll Crazy XXXL Volume and Essence Rock N Doll Volume & Eye-Opening Mascaras are both brand new this season and help coat each individual lash for an eye-opening effect. The Volume one features a slightly thicker and chunky wand to really pack on the ultra-black formula for mega volume and lift. The Crazy XXXL Volume one has the same thick and chunky wand, but it’s more curved, allowing you to curl your lashes without a curler. 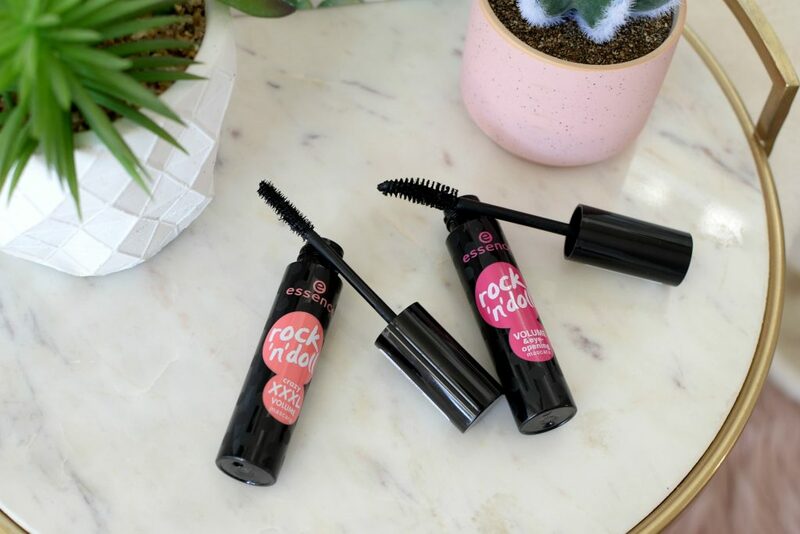 If you’re looking for a mascara that can help with volume, while adding a curl, try the new Essence Rock N Doll Crazy XXXL Volume Mascara, but if you’re wanting mega volume and length, Essence Rock N Doll Volume & Eye-Opening Mascara is where it’s at. Truthfully, both seem to have the same formula, intensely black, non-goopy and stays put the entire day. I guess it just depends on what you are looking for, thicken and curl, or lengthening and volume. Both do an amazing job at coating each lash, even those hard to reach ones, with a lightweight, non-stiff and non-crunchy formula. It delivers the ultimate lift in a single coat but can be layered for a more dramatic and intense eye look for evening. Each retail for $4.99. A strong and striking highlight isn’t going away anytime soon, but let’s be honest, it isn’t very practical for every day use. 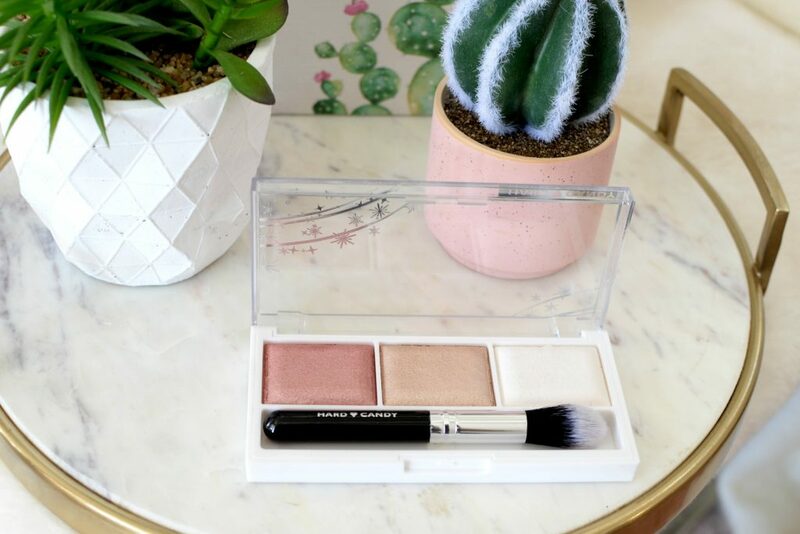 The new Hard Candy Just Glow Highlighting Trios provide an added touch of radiance and a subtle healthy, sun-kissed glow that illuminates the skin, without being too blinding. It helps create a pop of shimmer down the bridge of your nose, inner tear duck, cheekbones and even under the browbone without being too intense. 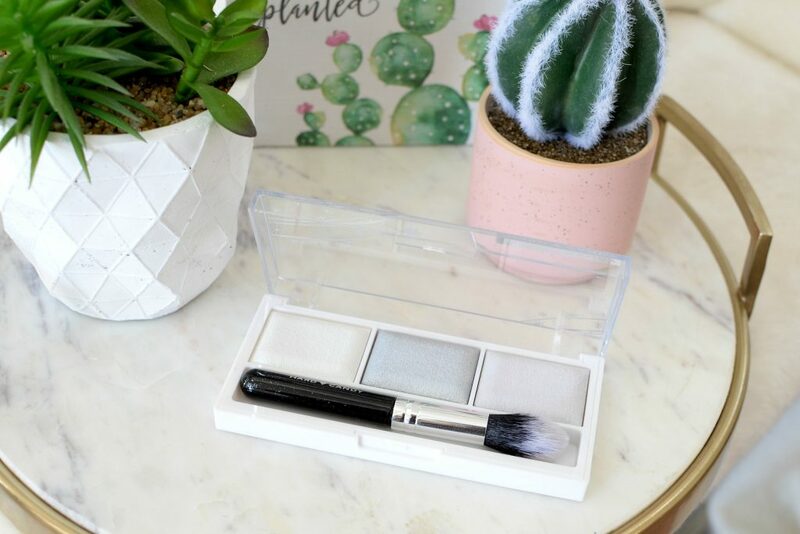 Each shade found within the palette works beautifully together if you’re looking to get creative and layer your looks or achieve that trendy multi-dimensional effect. 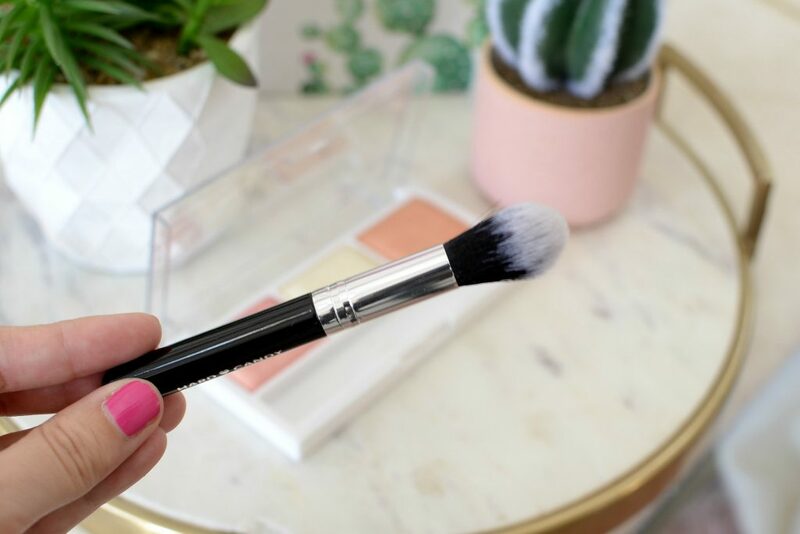 It’s conveniently packaged in a compact design and even comes alongside a blending brush for easy application. 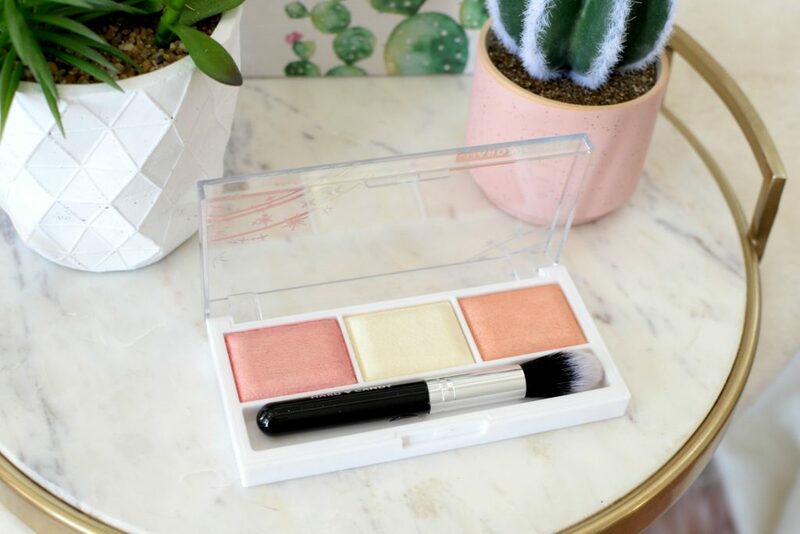 Not going to lie, I’m usually not a fan of miniature brushes that come with palettes, but the one found within the Hard Candy Just Glow Highlighting Trios is actually amazing. Its incredibly soft and fluffy dome-shape design picks up and lays down just the right amount of product. 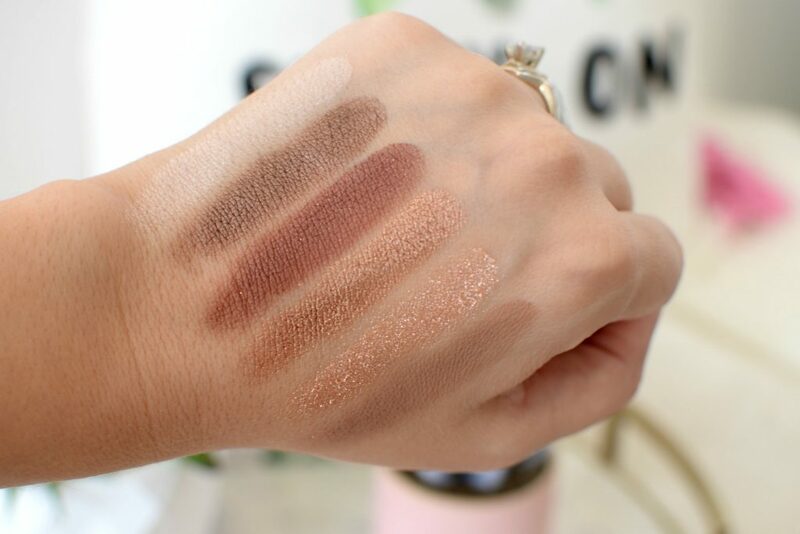 Each shade is buttery-soft and applies to the skin flawlessly without being too powdery. Its fairly pigmented, blends into the skin seamlessly, and has little to no fall-out. As it starts to wear, around the 6-hour mark, it almost melts into the skin, ensuring it doesn’t look patchy. If you’re looking for a natural, lite-from-within effect, try Cruisin The Coast. Wanting that trendy, holographic effect with an iridescent glow, pick up A Touch of Moonlight. For those that want a pop of colour, with a soft and radiant glow, give Rooftop Rendezvous a go. Each retail for $9.99. Red shadows are extremely trendy, but hard to pull off. A slightly less intimidating option would be burgundy, it still makes a statement, but is a little more wearable for every day life. 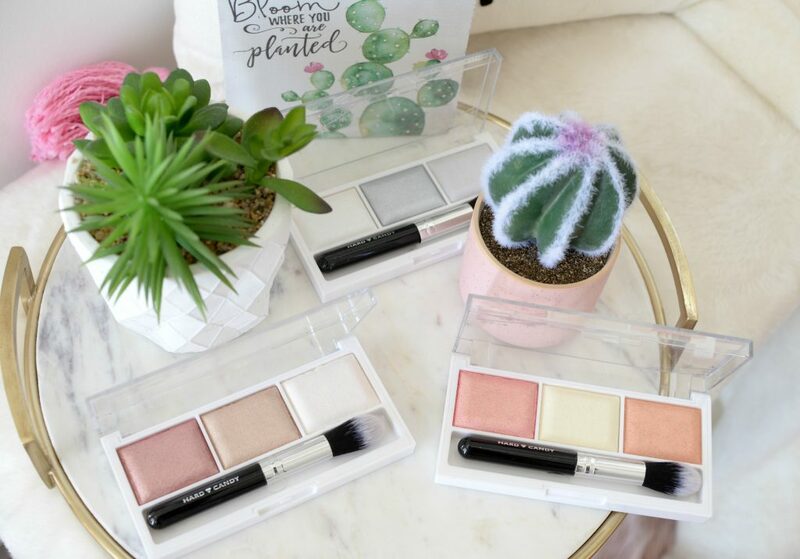 Maybelline 12-pan palettes have been a hit for a few seasons now, from classic nudes, to blushing nudes, smoky nudes, even 24K nudes, these palettes can do no wrong. This season the brand has played on those popular reddish-purple, wine and maroon hues with their Maybelline The Burgundy Bar Palette. It features all your favourite burgundies, golds, bronzes and nudes that allow you to create an array of stunning, unexpected smoky eyes this spring. I know burgundy eyeshadows are unexpected when you’re thinking of a smoky eye, but sometimes it’s just fun to play with colour. 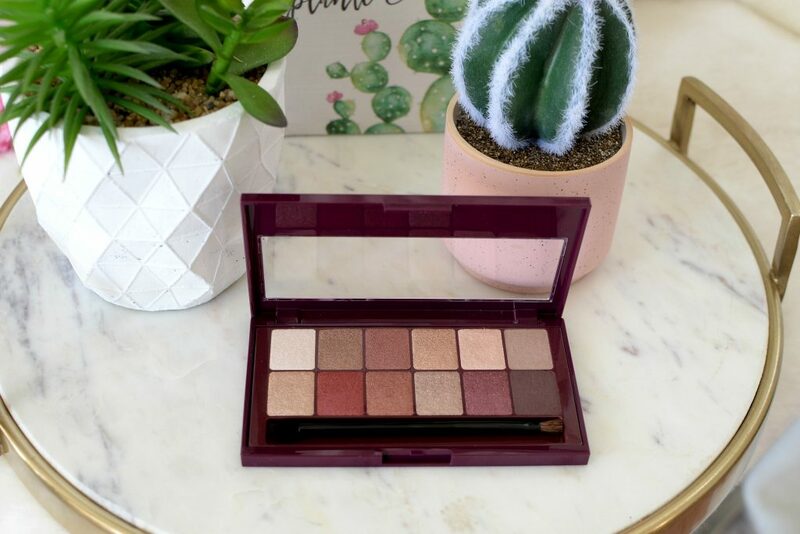 The Maybelline The Burgundy Bar Palette contains a ton of versatile shades that pair beautifully together, in both shimmer and matte finishes. 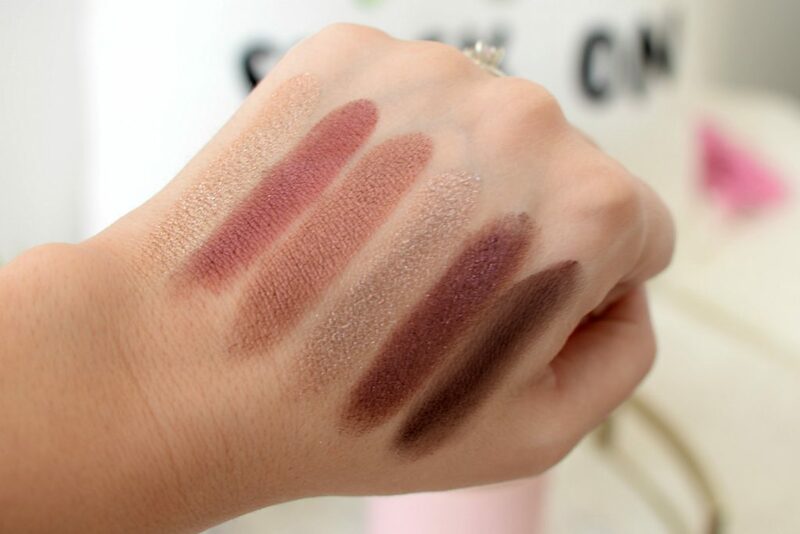 The mattes are buttery- smooth, while the shimmery shades are equally as rich and creamy with absolutely no glitter or nasty fall-out. 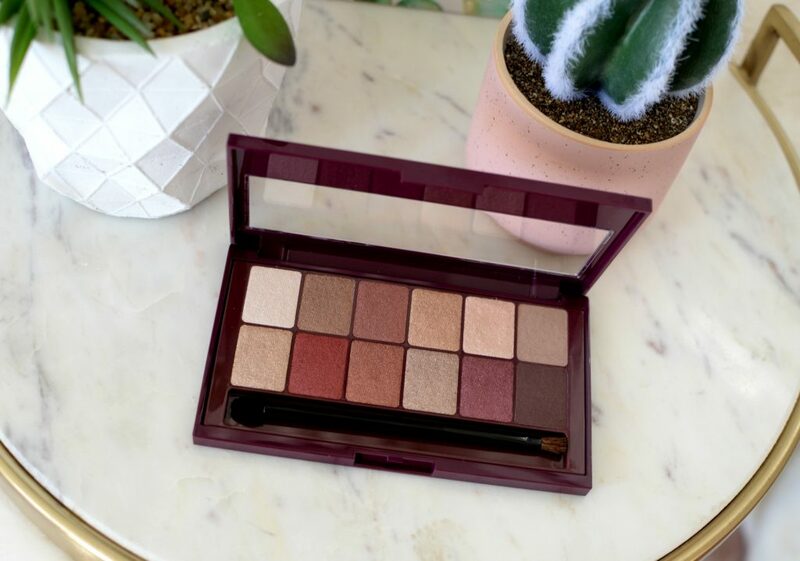 While these burgundy shades may be less risky than reds and crimsons, it’s still a trendy palette that helps break you out of the traditional nudes. It’s an excellent way to express how you’re feeling, while complimenting most outfits. Have fun creating accent effects on the eyes that will help enhance any neutral look you’re rocking that day. It retails for $17.99.